Last weekend, I was asked to take photos of upcoming Off-Broadway comedy named “Bonnie’s Last Flight” at Next Door at NYTW in East Village. The backstage was a full of chaos finalizing all the set-ups before the preview opening in the same day while I was maneuvering and rolling around the dress rehearsal to capture the moments for the press kit. However it was quite hard for me to take some “best” shots in this limited situation, I could take some good ones (It is supposed to be Eliza Bent’s retirement from self-producing but I don’t believe so!). All that jazz aside, it was a pleasure working with her again following her previous performance, “Kip Talk” at Abrons Art Center in NYC. The preview has already started from past weekend though, the opening will be on this Wednesday, February 13th. 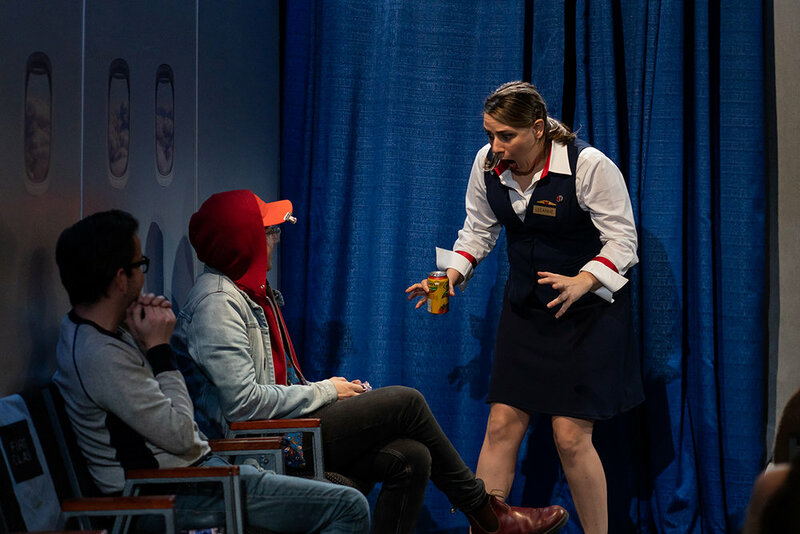 ”BONNIE’S LAST FLIGHT is a three-part play set on a plane. 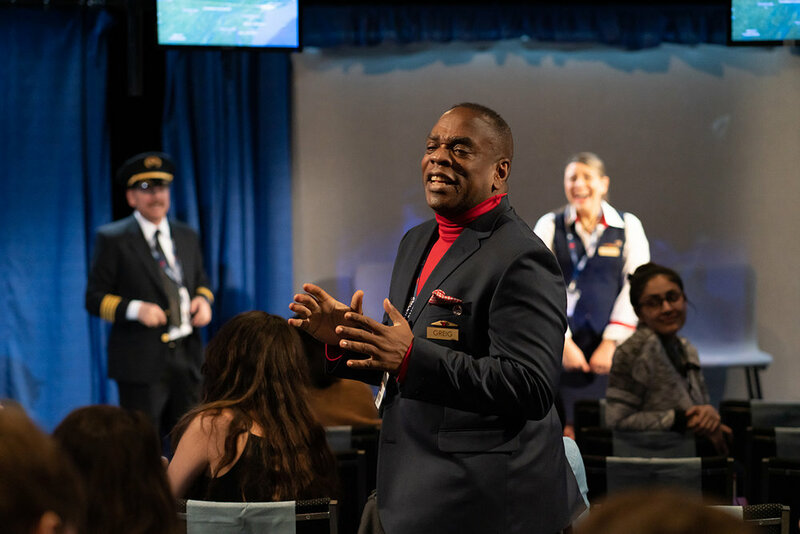 Our audience makes the trip as passengers: sitting on the tarmac before takeoff, floating at cruising altitude, and buckling down for the wild and rocky descent back to land. It’s Jan’s retirement flight. Everyone knows, except for Greig, Jan’s best friend and coworker of many years. As Greig waxes nostalgic, Jan worries about life post-retirement. LeeAnne, a klutzy newbie flight attendant with a dark past, must avoid her ex on the plane while Captain, a waggish pilot with a weakness for unlimited Bloody Mary Brunches, is caught in a love triangle. Erik, the co-pilot with a heart of gold, can’t get a word in edgewise. Presiding over the flight is Mark Twain, of course.